Property within the office was damaged as INEC staff and other people watched helplessly. 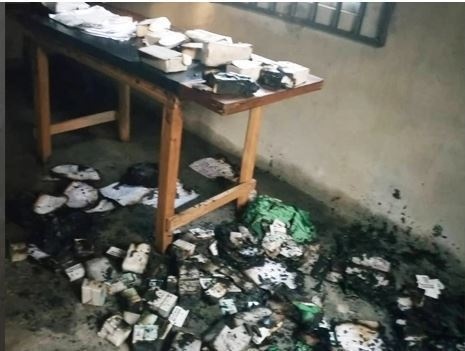 Barely four days to the presidential and National Assembly elections, fire has gutted the office of the Independent National Electoral Commission in Anambra State, Awka. The extent of damage is not ascertained at the time of filing this report. The fire which began around 2pm local time, allegedly started from a container bearing election materials dispatched to the centre earlier.